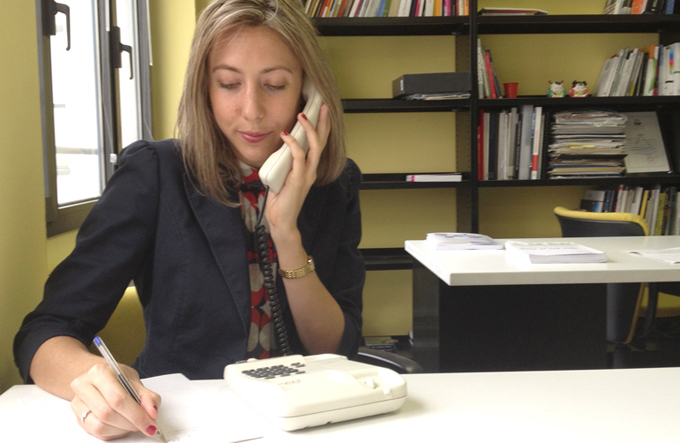 In order to prepare the next step of the Co-creation workshop, a series of short interviews have been conducted asking civil servants from the European regions representations in Brussels for 15-20 minutes of their time on the phone to take part to the co-design of the Multilevel Governance Charter. The following map shows the distribution of the interviews conducted mainly across European regions’ representation but also including representatives from the Assembly of the Regions. 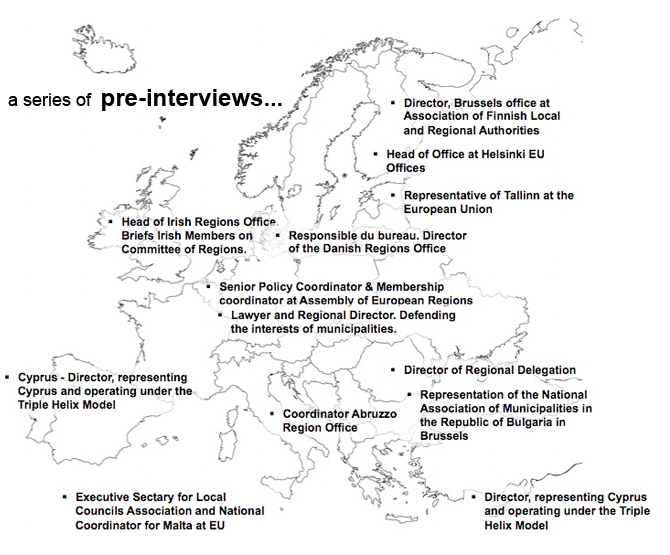 Map of the pre-interviews on the Multilevel Governance Charter with regions’ representatives in Brussels. Main focus of the pre-interviews was to ask participants to take part to a story-telling exercise, which is to say to invent a potential situation of application of the Multilevel Governance Charter and tell in a short 10 lines story why and how the Charter was used and useful in this situation. The interview semi-directive guide for the pre-interviews was larger than the core Story-telling process and investigated the respondent position and his/her vision about Multilevel Governance key principles, objectives of the Charter, co-signatories, recipients and users, monitoring and compliance processes, involvement and diffusion supports and personal commitment regarding the promotion of the charter. Most of the 13 participants to the pre-interviews process were not experts of the Multilevel Governance or feel not comfortable enough in short interviews on the phone to develop on these more expert-oriented questions. But they all generated creative stories that are presented in this Blog and which has been analysed to enrich the collaborative process.